Beautiful hair requires maintenance! Not only do you need adequate health practices, you must also go to the salon regularly to keep the length and maintain your ends. At home, a tailored ritual must be defined so that your hair is healthy with shiny highlights. 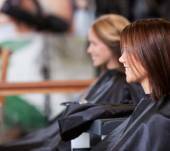 Discover what not to do, but also what is a good bet to keep your day-to-day hair styles fresh, long after visiting the stylist. Adapted accessories, indispensable care, beauty tips, you must know everything you can to keep your hair beautiful, morning to night. Indeed, for elegant length, you do not necessarily have to cut. It is up to you on a daily basis to pamper your hair for that full shine. Your hair routine must be based on your hair type and length. Only personalized care can keep your hair in perfect health. Care, detangle and brighten, so that your hair has enduring beauty. 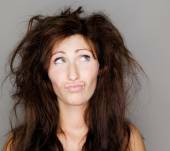 Fragile in nature and often limp and lifeless, is your fine hair making your life difficult? Rest assured, your locks are not a lost cause! 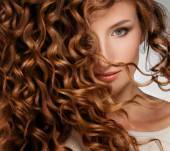 You simply need to take a few measures to prevent your hair from causing you problems. Regarding your haircut, opt for a short style. A long bob, chin-length hair or a boyish pixie style are the dream haircuts to minimise how fine your hair looks. The same goes for men: the shorter the haircut the better! Whatever your hair's length, layers are an excellent option for creating more volume, providing they are put in carefully so as to not thin out the hair too much. Otherwise, this might make your hair more brittle. Furthermore, do not deprive yourself of a fringe - if you choose the right one it can work wonders and make your locks look thicker. As for products, choose them wisely by opting for targeted formulations which can boost volume from the very first wash! Not forgetting a lightweight mask which will nourish your hair without weighing it down. Moreover, do not overlook the importance of a colouring treatment! An array of shades can add depth to the cut for hair that looks full of body. Finally, go for hairstyles which are perfectly suited to your hair type: a wavy blow-dried style which gives you bigger hair than a classic blow-dry; a half-ponytail with a quiff, rather than a slicked-back look; or curls rather then straightened locks... Consider cheating with styling products which coat and thicken the hair fibre. They give your locks extra hold. Furthermore, dare to try out accessories such as foam donuts which can create a hairstyle full of volume in the blink of an eye. Clever! In this feature check out all our tips for enhancing your fine hair! Going for a swim at the beach or in the pool or having a few naps in the sun: in summer your daily routine changes.... As should your hair regime! Whatever you do, don't let your hair get damaged by UV rays, sand, salt and chlorine which dry out and weaken your locks. Instead, you can opt for an array of targeted treatments to protect and take care of your hair. What's the star haircare product to use this summer? Sun protection gel of course! Yes, the sun does boost keratin production and promote growth whilst giving your locks pretty golden highlights. However, in high doses, it damages your hair just as much as it does your skin. Prevent any unpleasant surprises in autumn by using a treatment which is able to block out UV rays. And to complete your hair regime this summer season, more than ever choose a shampoo suited to frequent washes (with a mild formulation) and treatments targeted to your hair type to keep your locks looking their best. Is your hair dry, fine or long and therefore more fragile? Swap your hydrating treatments for highly nourishing products. They minimise the impact of the constant onslaught your hair is subject to, helping to prevent the 'straw effect'. Are you a fan of colouring treatments? Opt for formulations rich in vitamins to bond the pigments to the hair fibre and to prevent your colour from washing out. Finally, deal with your greasy roots problem which is aggravated by the heat: a re-balancing treatment is a must during the summer months. In this feature, you will find all of our advice on choosing the right hair treatments this summer!